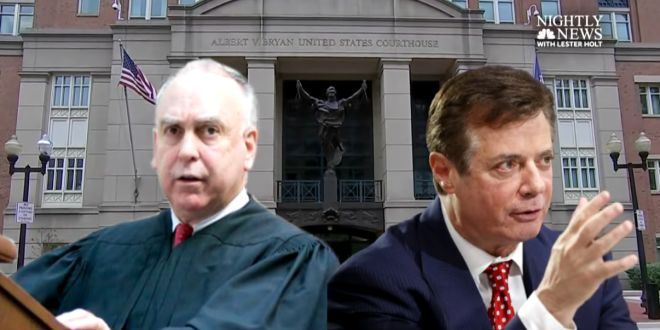 Manafort Trial Judge Reveals Threats Against Him - Joe.My.God. The judge in the tax and bank fraud trial against one-time Trump campaign chairman Paul Manafort said Friday he’s been threatened over the case, denying a request from media outlets to release the names and addresses of the jurors. Judge T.S. Ellis III said he’s not going to reveal the specifics of the threats he received. “I have the marshals’ protection,” he said. In denying the request from CNN, the Associated Press, Politico, The New York Times, and The Washington Post, Ellis said he has no reason to believe the jurors wouldn’t also be exposed to threats if their names were revealed. “I had no idea this case would excite these emotions, I will tell you frankly,” he said. The note the jury sent to Judge Ellis said the jury would like to finish their deliberations Friday at 5pm because one of the jurors has an event tonight.